Auckland’s budding rapid transit network is already starting to make a significant difference to public transport in the region. Despite only being a few routes, now around 25% of all PT trips in the region are made on either rail or the busway, up from just 5% a decade ago – and the numbers continue to growth strongly with over 20% growth currently being seen. I’ll probably look at it in more detail in a separate post but I suspect in the future we could easily see that increase to over 50%, even improvements that are coming to local buses. The overall goal of the RTN is to provide a strategic network of high capacity, high frequency routes which are largely free of congestion. Recent conversations about light rail and other topics got me thinking about the capacity of AT’s proposed RTN and in particular, just how much capacity do those plans allow for and is it enough? For the foreseeable future, I think it’s safe to say that outside of the city centre the capacity of rapid transit is likely to easily exceed demand so for the purposes of this post I thought I would focus on just the level of capacity to the city centre. Starting with the heavy rail network we will effectively have what we have now plus the CRL. The image below gives an indication as to the level of frequencies we could possibly see in the future – I think we will likely need higher all day frequencies but doing so wouldn’t affect the peak calculations I’m working at here. At the peak this pattern gives us a total of 18 trains per hour in each direction so 36 all up. But just how much capacity is actually available would also depend on how we deal with Onehunga. For the purposes of this I’m going to assume that Onehunga trains remain only a single EMU so only three cars in length. I’m also going to assume that the three services an hour that turn around at Newmarket before heading back do so empty. We know a 3-car train can comfortably carry around 375 people while a 6-car train can hold around 750 people. They could of course carry more by adjusting the seating to have more sideways and/or expecting people to cram in more but for now we’ll leave it at the current setup. Based on the info above we have both the Eastern and Western lines able to deliver around 12 trains an hour while the Southern/Onehunga line delivers nine trains an hour. Accounting for the Onehunga line as mentioned this suggests the network could be able to deliver almost 24,000 people and hour (Britomart currently sees just over 10k during the two hour AM peak). That’s impressive and would be even higher if the Onehunga line could handle either longer trains and higher frequencies. Light rail is perhaps the trickiest of the modes listed here, simply because we don’t have any of it yet installed to compare to so that means we need to go off what AT say. They suggest that light rail like being proposed for the isthmus and to the Airport could have a frequency of up to one vehicle carrying 450 people every 2.5 minutes. Given the map shows both Dominion Rd and Sandringham Rd LRT, I assume it means they could each be running with five minute services. Whether those volumes are over one route or two doesn’t make a difference for these calculations. Based on these figures suggests that light rail could carry nearly 11,000 an hour each direction at peak. That’s obviously less than the rail network, but then again LRT could potentially only be one line while the rail network is three and a bit. With the individual heavy rail lines carrying possibly up to 12 services per hour and with up to 750 people on-board each service that one LRT line could have a slightly higher capacity. The plan above still relies on a lot of buses to the North Shore and in future to the North West potentially clogging up our city streets – not to mention all the local buses from various non-RTN routes that will still be around. Recently AT and the bus operators have started rolling out double deckers many routes and by 2041 I expect they’ll be the main style bus in service. For the busways I’ll assume that they’ll be running with a frequency of one double decker every minute. That gives us a capacity of around 6,000 an hour per busway so all up another 12,000 people. Of course if we did link up the planned Isthmus Light Rail to the shore this could increase capacity further. So a total of around 47k per hour or 94k people during the two-hour morning peak and on top of that is a plethora of other bus services from places not directly served by the RTN such as the western North Shore and on the isthmus on routes such as Mt Eden Rd. To put that in a little perspective. As of last year there were about 105,000 people working in the city centre and on top of that there are also 10’s of thousands of students. Of course across both employment and education, not everyone is going to be turning up each day. The last figures I saw suggested around 80,000 people enter the CBD in the two hour AM peak of which around 50% do so on PT. With the RTN routes alone being able to deliver more people to the city than currently arrive by all modes, that represents a significant increase on what we have. Can you explain the map a little more? E.g. does 9+6 tph = 9 all day, +6 during peak? (so 15 peak, 9 off peak)? The +3 etc are peak direction only services. So it shows the standard practice of a base pattern plus additional. Note some of the peak only services are expresses, with limited stops and are colour coded to show which route they refer to. AT are not fans of returning to limited stops services they prefer the all stops model that is currently in use. That is not what the map shows, however, they are right, we don’t have the track for it. Thanks Patrick for your insights. Is there any possibility in the near future of tripple tracking the western line between Henderson and Mt Eden, and the Southern line between Westfield and Papakura? Nicholas the triple tracking of the southern (NIMT) from Westfield has already begun, they are at the first of many major obstacles Middlemore station. Middlemore needs to be either bypassed or rebuild to allow an extra line, the other issue once south of Papatoetoe (widening the cutting) is Manurewa station then it should be straight forward widening of the corridor along with some bridges. Nicholas, No. Have you seen New Lynn? The NIMT urgently needs the completion 3rd main plus ideally a 4th for freight, expresses, and inter-cities. And if funding for at least some of that was included in the East/West circus would at least make one part of that absurdly overbuilt and under-thought project worthwhile. I’d say triple tracking between Henderson and Mt Eden would be highly unlikely as it would require an extra track to be added to the New Lynn trench, which would be very expensive, even outside this I don’t think the corridor has enough room, which would mean the expensive (and probably controversial) purchase of land. That’s precisely why there is the Avondale-Southdown designation. To get freight off the other lines should Ports of Auckland move (originally to Te Atatu back then, but Northport and Tauranga now). It could of course also be used for passenger rail. Yet another reason to not damage it with LR (OK to use so long as doesn’t impede the ability to make it HR in future). This is another reason why HR should go to Airport via Otahuhu rather than LR via Onehunga. I would love for a limited stops model, inasmuch as express services have a defined pickup-only and alighting-only phase. Pickup on the pre-express portion and alighting for the post-express portion. It annoys me no end when people (especially school kids) take express services for local trips. My belief has always been the corridor should be protected on the city bound western line track between the trench and Mt E j. So all stops to New Lynn then express from there in morning peak opposite in afternoon. Though down the list a tad. Trains equal rapid mass public transport, ferries, if they are quick and if the birthing facilities are well designed, (Northcote being a poor example) equal rapid mass PT. Buses not so much even on the bus way on the North Shore. Too small, that is most buses or too slow in general and to load (double deckers), drivers processing fares and yes cash fares are still in use and even then restricted capacity of a DD means an efficient PT system capable of mass transport must not be based on buses. Buses are victim to road works, delays on the roading networks and all the other road specific delays there are, crashes, traffic lights, never ending glacial speed works where Te Atatu Rd comes to mind. And I would argue expensive as a model to operate therefore restricting growth opportunities. Auckland must have genuine alternatives rapid mass transit, not buses! Why so anti bus? Most of what you describe are corridor issues or fare policy issues. Nothing to do with vehicle type. My point is buses have their place but there are limits to their ability to provide the basis of a fast mass transit system. I use buses, mine yet again left behind passengers after it’s third stop because of capacity issues. The airport bus no longer connects with a number of other buses because of road works, it stops midtown. Try lumping 50kgs plus of luggage across town to your connecting bus. We have been provided a bare minimum PT system since trams ceased in the mid 50’s and all the band aids provided ever since have stunted PT growth. This is a big city, it has appalling traffic problems and minimal PT bus growth in recent times. We deserve far better! Agreed that the way we run our buses and the priority we give them has been poor. But that is not about the buses is it. yeah trains are never delayed by crashed. lets convert all the main roads to trainlines. We could have them fed by autonomous platooning private vehicle carriages. that doesn’t seem like enough to me. Isn’t the working population of the cbd meant to double over that period? That is the proposed pattern for when the CRL opens in 2022/3, clearly it will change in response to demand, I would ignore the 2021-2041 at the top. Two decades is a long time. Hmm. So if it doubles we get to 160,000 entering a day. 94k RTN leave 66k. Say another 30k non RTN PT (bus and ferry) leaves 36k. Lets hope we have at least 15% cycle mode share by then so that is another 24k, leaving 12k. I reckon it sounds pretty alright. I’d rather bit have a system at capacity and growing tbh. This just demonstrates that we need to be upgrading the nw and n motorway routes to higher capacity. In the future will more people both live and work in the CBD? If so, the other 12k could be walking, making for 0 cars. Yes, 41k did in 2013, and that is increasing fast. Massive increases of the most efficient form of mobility; proximity. Some commute out to work, counterflow is already quite strong. You’re underestimating the bus and ferry a bit, it’s probably more like 40k. Then you have walking and cycling, including those that live and work in the CBD. There are over 20k residents in the CBD today and I figure most of them aren’t commuting out of it. Then you have peak spreading, I personally commute between 9 and 10 most days and there are plenty of people still on board. Likewise when I go home after 7pm. Plenty of people on an early cycle too. A three to four hour peak is probably appropriate for the future. AVs – Not happening. Planes have had autopilots for decades and they still require 2 highly trained human beings to fly them. Autopilots give up once certain thresholds are passed (metereological or technical thresholds). Yes ok planes can’t just pull up to the kerb if something happens but also they operate in controlled airspace where the obstacles are signalized. It’s much easier for and AV to cruise at mac 0.85 at 400000 ft than down the southern motorway at 530pm. Not the limit of the system either. The Onehunga issue could be fixed possibly if we upgrades those old POA sidings that are not used by Quay Park to stable services not continuing on to Onehunga for quick access and turn around maybe ???? Agree also we need to think as Ferries as potentially RTN though Fullers isn’t big on working with AT especially increasing services on Half Moon and West Harbour. Even easier and quicker is to have them return to Henderson via the current route as opposed to going back the way they came. I imagine they would want to be rid of services running to Swanson that have a driver change ends at Newmarket as that ties up about 4 mins on a platform, on a constrained network, or were you thinking of having them skip Newmarket? It is nearly 10 minutes turnaround at Newmarket so probably going via the direct route (something they should do now to save time) as the trains going to Onehunga will stop at Newmarket. I’m perplexed by the non-inclusion of Ferries. We have a nice big harbour with good access from the North Shore and East Auckland. The base infrastructure is already there yet we rarely talk about ferry services and utilising the harbour as a source of transport. When we talk about low hanging fruit I’d have thought ferry services would be near the top of that list. Probably because we already have the low hanging ferry fruit, the routes that work well already operate. There may be some opportunity to double down on the ones that perform well, but adding new ferry routes is very expensive for little gain. Ferries have a triple whammy of being capital intensive to buy boats and build wharves, expensive to run (and very expensive to run frequently all day), and intrinsically bad coverage and catchment. A simple bus route might stop fifteen or twenty times in the middle of dense suburban and urban areas. A ferry has one, maybe two stops which are almost always out on long wharf or promontory with half the catchment in the water. One stop with half the catchment of a simple bus stop! There are a few that work very well (Devonport, Waiheke, Pine Harbour , Half Moon Bay), but they are places where there is little or no alternative and they do rely on elaborate bus and park and ride. The rest of them are window dressing to be frank, the patronage is almost insignificant and the subsidy per trip must be well into the double figures. Yes it’s very low-hanging fruit. Ferries just need improved frequency and proper support from AT on fares, which was supposed to have been implemented this month with integrated fares. AT has been really lazy on this to be honest, which is imposing unnecessary costs on ferry commuters. Ferries are very much like bus lanes,rail lines and cycle lanes in that they are unimpeded by vehicle traffic, so they can easily expand in capacity and reach as the city grows. We’re going to need these options all working properly as Auckland’s population gets up to around 2.2 million by 2041 so AT’s lax attitude is really puzzling. Are all the various Light Rail lines going to come into CBD down Queen St? Doesn’t this mean that total Light Rail Network capacity is 11,000 not each individual line? Light Rail also reduces bus capacity as we’ll no longer be able to run buses in some of the corridors due to space constraints? The way I see this points to a 2nd CRL(http://greaterakl.wpengine.com/wp-content/uploads/2012/04/CITY-CENTRE-The-Cross.jpg) as that provides 24*2*750=36,000 trips. 2 lines down Queen St, 2 more later from Mt Eden & Manukau Rd’s will go down Symonds St, but that’s proposed for later. Forward planning – Panama Road, Mount Wellington – There should get a dedicated busway/pedestrian bridge built across the water going directly to behind Fisher&Paykel at Highbrook next to the park. Seems like a no-brainer to provide Dannemorra/Eastern suburb residents with another alternative route instead of Waipuna Bridge/Highbrook offramps. Not directly related to capacity but I’m still not a fan of the West to South via Newmarket pattern – a station at Newton would’ve made for an easy transfer onto the Southern Line & ability to send all trains through the CRL boosting capacity. The additional western line trains terminating at Newmarket looks awkward as well, a double tracked Onehunga Line and extension to the Airport would be so much better. HR via Onehunga to the airport is a dead duck and double tracking a line that currently carries on average less than 30 people per train is not a good use of the limited funds when there are so many other projects that should be further up the list. HR through Otahuhu is still a possibility. 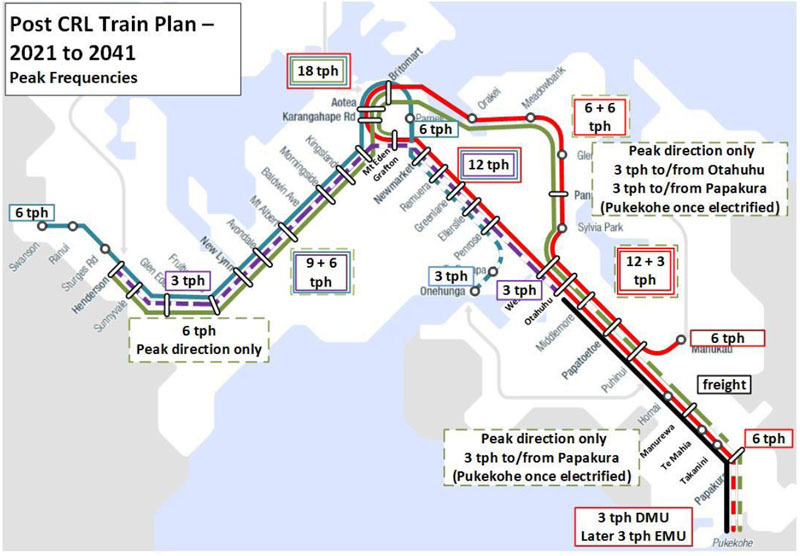 If that went ahead there is a good chance that Onehunga would be converted to LR freeing up HR capacity and avoiding an expensive upgrade of Onehunga line. Louis I agree, it’s a dog and a waste of resources, but has fans in the anti-city-centre brigade, and the one-seat-ride-everywhere-regardless-of-lousy-frequency set [ie car thinkers]. Am I right that the upper level platforms at Mt Eden would be redundant if the west to south service was canned? They would be stupid to can the west to south service (if they really want people out of their cars) as this is something they could already have in place, it would allow more 6 car units on the western line (Southern and eastern too), it would save 10 minutes from the west (no need to stop at Newmarket when there is a train going that way already). I can actually see AT adding a city circuit service in the not to distant future (after the CRL). I think they should give the west to south service a go at least once the CRL opens, see what patronage is like. Not sure they have any spare trains to run it currently though. Why a city circuit? The South-East line covers every city station in both direction bar Parnell. The West-Onehunga line covers every station bar Grafton. Hardly worth buying and running trains and taking up slots just to save people a transfer for two smaller stations. My main issue with the crosstown line is that they will never have the trains spare to run it. We’ll always be catching up and should put every vehicle in the fleet into the CRL patterns. Once the CRL is actually full and can do no more, that’s when you start running crosstown lines. Before then you’ll be wasting fleet and operations resources on lightly used patterns while tunnel trains are chockers. jezza they do have the trains they currently run to Onehunga (may need to put one more set on as they are going further but more than this is saved of the western line), this has the added advantage of reducing the trains through the Quay junction by three an hour along with the quicker trips from the west. Nick R I didn’t say it was a good idea (AT don’t take any notice of good ideas anyway) just that I would not be surprised to see it. Ahh, so your thinking of having the Onehunga trains run out west rather than into the CBD. I imagine that would be the death of the Onehunga Line as it doesn’t have huge patronage at the moment and would likely drop if passengers had to transfer at Grafton to get into the CBD. jezza even if every one of the average 27 pax per train that come from Onehunga is going to the CBD they will have to learn to change trains like everyone else, why should the efficiency of the whole network revolve around such a small number of people? Erm, so if it only averages 27 per train across the day going to Britomart, what do you think it will do if you take it out of city service and run it to the suburbs? 2 people per train maybe? Nick so you think it was money well spent to carry 27 people per train? Now some muppets want to double track it too. See my comment below ted, the Onehunga branch does better than the line between Takanini and Papakura. If you want to close out Onehunga on the grounds of low patroange you should advocate for closing Papakura first. I believe Newton became a dead duck once they undertook further investigation into the strata there, as there is a big block of solid basalt. Vector found this hard going digging their relatively small tunnel through there in the late 90s, it would be a very expensive place to dig out a whole underground station. The change to Mt Eden is sensible on land-use upgrade alone. Transferring at K Rd is hardly arduous, and will beat waiting 20mins for a direct ride. That running pattern seriously does get uglier every time you look at it. Good broad-brush analysis Matt. However it is important to properly compare like-with-like when comparing the systems. Limiting heavy rail to 12TPH per line in the analysis, while assuming that light rail can accommodate 24TPH per line is not doing this. The assumption is that LRT can intrinsically handle a much greater intensity of service but this is not true. Traditionally, light rail in-the-street operates on line-of-sight separation and ordinary traffic lights just like normal road-vehicles. Heavy rail traditionally operates on absolute-block signalling with all sorts of overlaps and safety-factors built in for safety. Because line-of-sight between trains is not necessary, speeds can safely be higher, corridors narrower and tunnels un-lit. Now beyond a certain level of passenger-throughput with light rail, the size and frequency of vehicles make line-of-sight driving impractical or unsafe. Hence the “light metro” variant, which operates on signals or automated-control, much as heavy rail does (or can). And with suitable signalling or modern moving-block techniques, heavy rail is not bound to restrictive headways either. London’s Victoria Line now operates at a frequency of 33 trains/hr (i.e. one every 1.8 minutes) ! I never said 24tph for LRT per line but that the line entering the CBD could be. How that is split up outside the CBD I’ve made no assumption about. As for heavy rail, yes could carry more but i understand there are various restrictions outside the CRL that limit things, junctions etc. 24 TPH is one every 2.5 minutes, as mentioned in your article above. Not sure where this figure came from because I can’t immediately find it in AT’s release. Certainly there would be other work required if heavy rail were to run at such frequencies (such as grade-separation of the present flat junctions). My point was simply to dispel suggestions that light rail can easily and cheaply outclass whatever ‘expensive’ heavy rail can do. This is just not true. It is important not to compare ‘ideal-world’ light rail that doesn’t exist here yet, with present-day, sub-optimal, Auckland heavy rail. Some commenters here seem prone to doing this. 24 TPH is a future improved condition, and probably requiring ETCS level 3 or similar, trains would essentially be automated at least through the CRL. It is perfectly reasonable to use this figure as the future potential capacity of the network, even though it won’t be immediately available, but then that demand won’t be immediately present either, it is something that can be worked towards. 12 TPH from each of the two lines converging at each of the two CRL portals surely requires upgrade of the current northern flat one, the southern junction is being built grade separate straight away. The flat Newmarket junction is an issue too. The Herald “Cost Blowout” story didn’t help. The rail system needs a program, set out publicly, on which constraints can be removed, when, and at what cost. $2.4 billion does not get you 40 trains per hour through the CRL. You have to buy the trains as well. You need maybe 90 three coach sets to put the traffic that Matt suggests (six coach trains on all but Onehunga). That’s $400 million. You have to grade separate the lines at Quay Park. You have to spend maybe $400 million on other works before the CRL will sing. This has to be faced. These are not cost “blowouts” . That depends on the project definition. But, at the risk of providing succor to Cr Quax, the full path forward should be prescribed and costed. The CRL can massively increase frequencies with no more stock as we can go to entirely three trains and save a stack of time, especially on the western line and the turnaround at Britomart. The extra trains and grade sep are no more part of CRL than SH18/1 junction is Waterview. Eric all true, but there is time for all of that, there is no need for 48 tph on opening. KR’s wish list for the whole AKL rail network runs to about 100m a year, and yes that does need to find a funding source. It is a peculiar relic of Motordom that rail got completely written out of all budgets, such has been the rapacious hunger of the road builders. Dave, you forgot the bit about absolute block signalling where it is limited by the physical requirement to see line side signals and struggles to allow more than 20 vehicles and hour. It’s interesting that you complain about ideal-world light rail when Auckland’s rail network is signalled in four minute blocks for the most part. Discussions of 24 or 30 trains an hour assume a huge upgrade of signalling, and in the latter case rebuilding junctions. You’re doing exactly what you are complaining about! Meanwhile with light rail 2.5 minute headways is a doddle under line of sight operations. It’s not ideal world, in Melbourne they run trams every 60 seconds on Swanston St (well it’s actually two to three trams at a time with each phase of the lights). In Vancouver they operate their light metro at 75 second headways using rolling block computerised separation. Thats ideal world stuff. Here is one thing to ponder. Auckland has an existing legacy heavy rail system, it has a certain signalling system, track design, corridor alignment etc already. The light rail would be built to spec. So what is more likely to be closer to ideal-world, the thing that has to inter operate with the legacy system and share with freight trains and level crossings and the like, or the thing you specify and build from scratch specifically for urban passenger transit. Nick, question out of curiosity – you mention that most of the network is signaled in 4 minute blocks. Are these blocks more frequent between Penrose and Britomart as I notice the Onehunga trains are generally scheduled 2 mins before or after Papakura trains? Not sure, others with more knowledge might want to comment. I know they do that so the Onehunga and the Papakuras arrive one after the other at Britomart so they can platoon into the station which is more efficient on the junction. Whether that bit has tighter signalling or if they just send the Onehungas the second the signal changes (and then nothing else for ten minutes) I don’t know. I’m just going off a Kiwirail presentation I saw once. In any case, high frequency on our heavy rail can’t just automatically happen, it needs investment in signals and track infrastructure. The southern line normally waits for the Onehunga at Penrose then as soon as the Onehunga train moves off from Ellerslie the southern gets a yellow and does all the way to Newmarket. Running the Onehunga trains that close in front of the southern trains is how they show patronage on a line that only gets a handful of people (average between Penrose and Onehunga, 26 pax per train weekdays down to 11 on the weekends). I’m not sure where you get your data from, my records show an average of 120 passengers per train at peak and 32 per train across all of service between Te Papapa and Penrose 3. That’s actually better than the line between Papakura and Takanini, which achieves only 88 passengers per train at peak and 30 per train across all of service. By your logic we should close the line between Takanini and Papakura before we do anything with the Onehunga branch. One thing I would like to see someone who knows about it create a post on is the elephant in the room of fares. From my cursory look, and anecdotal stories, PT in Auckland is expensive. In fact, from my travels the cost of fares seems entirely decoupled from the quality and frequency of service. For example, Berlin and Madrid have cheap(ish) PT, whereas London is now eye wateringly expensive, Why is this? How can we get fares down in Auckland? I’m wondering this too… We have reached 50% farebox recovery, can we freeze fares until inflation reduces them by 10% or 20% or something while still improving frequency and coverage by using new income from increased patronage? Watch this space, integrated fares coming in a few weeks. Unless they are planning to change them they pretty much average out for most people (if they are doing 1 change max). I’m hoping that they do find a way to reduce fares overall but particularly reduce off peak fares to encourage more use off peak. Boy oh boy are you right there! I just checked out what it would cost to take a family trip to MOTAT – two adults four kids – and it’s $71.30 using HOP cards for all but two of the kids! And no, I’m not even travelling a long way across town; this was just from Devonport. As someone who wants to see carbon pollution reduced, I’m uncomfortable that I’m being made to drive even though perfectly good public transport is going to the same place. Fares are too high in Auckland and with HOP cards there’s no need to be double-charged by AT for having to change from ferries and buses during the one trip. It seems to me that a lot of our transport infrastructure is quite good, but somehow we’re not able to fully take advantage of it. 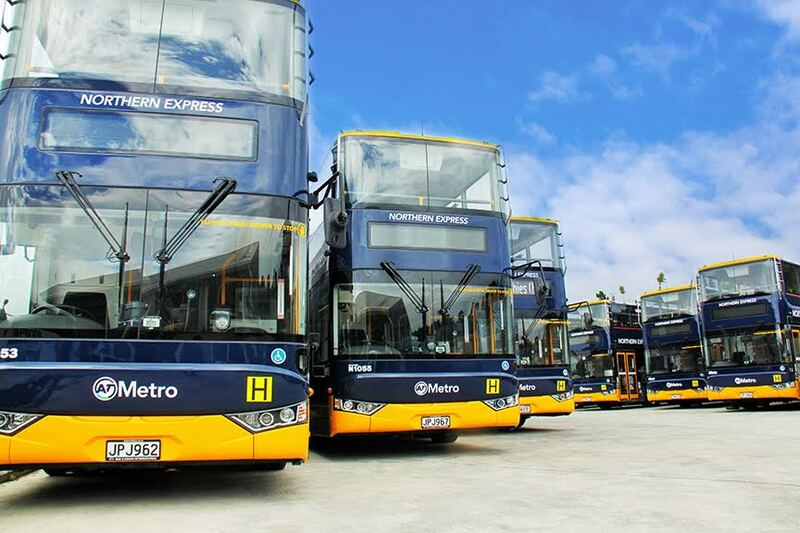 Even after integrated ticketing you will continue to be penalised for having to change from the Devonport ferry to buses because of Steven Joyce’s sweetheart deal with Fullers. A journey from Narrow Neck to MOTAT will be three journeys if you catch the Devonport ferry, but only one if you’re mad enough to try and do it all by bus. We’ll have to wait and see – remember integrated ticketing has been decades in the making, and was anticipated and allowed for in Mr Joyce’s legislation, so I’m expecting it to be done properly. In general we need more flexibility and family-friendliness in our ticketing so that people can go places using public transport without a second thought. Getting a massive hit in the wallet, having long delays mid-trip or worrying about being able to get back home should not be factors in using public transport in a big city. I can get from the outer suburbs to the CBD for less than that without hopcards but that is what the PT system is designed to do, get people to and from the CDB it is irrelevant that over 70% of Aucklanders never need to go there. The PAUP is biased towards large area auto-centric, exurban sprawl and is creating high barriers to urban development. 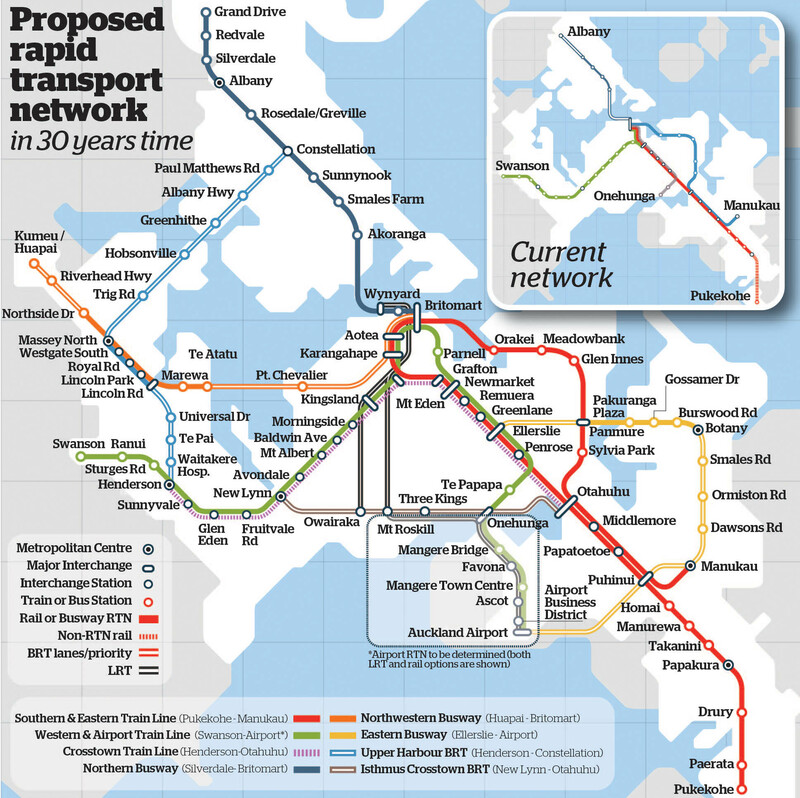 Rapid transit systems are unlikely to be highly useful in Auckland until post 2040. Absolutely, except for the massive upzoning of existing urban land it allows and the focus on rapid transit and town centres. High land cost increases created by restricting land supply to half of typical requirement and the oversupply of exurban growth, the PAUP both increases urban construction costs and negates value growth of urban Auckland. We can do all the upzoning we like, with many improvements to rapid transit, but unless it becomes profitable to build apartments we are going to continue to have a poor apartment construction rate and a high sprawl construction rate. We’ll I don’t know about you, but it will be very profitable for me to build four terraced houses on my section the second the Unitary Plan is operative, which is exactly what I plan to do. I’m personally going to quadruple the density of my site, and my neighbor is considering joining the venture which will have us turning two old houses into nine modern high density dwellings. You might be right that building apartments isn’t profitable in most places (although clearly profitable in the right spots), that is definitely something that the market is saying at the moment. But that is why they are gearing up for is terraces and mid rise flats. I know you are besotted with apartment towers but there are many ways to skin a cat. I have just chanced on this site and am impressed with the ground that has been covered. In recent discussion on our local Neighbourly website, I have come to the conclusion that a light rail connection to the North Shore is probably the most cost effective solution to the future commuter transportation in Auckland. I do feel however, that to serve the North Shore most effectively and economically, a tunnel across from the city to Devonport and then up the peninsula to Silverdale would be the optimal solution. A side branch to Albany would also feed to the shopping centre and stadium there. Furthermore, the light rail could then be extended back all the way to the airport. I am certain that a service such as this, running up the spine of the isthmus would serve the vast majority of people and so get the maximum patronage. A tunnel across to Devonport would be cheaper than one following the bridge route, and would also not duplicate that route, but introduce alternative options for patrons. If necessary, cut and cover methodology could be used for portions of the route which poses restriction problems. As an aside, I am also an advocate for building small grocery shops at Park & Ride facilities which will then enable people to get their essentials on their way home, rather than drive to the shops on their way home and so adding to mileage and time taken. I would love to see light rail up Lake Road (I live in Bayswater) but there is simply no space. The Council is not going to spend a lot of money (i.e. buying houses to demolish to widen Lake Road) on an area which is vigorously fighting intensification and more people living there. What if the LR ran from Preston Ave followed the power supply route to Francis St then across to Akoranga. More population centered than Lake Rd. It would have to be some sort of mini system. Balance this against the expense and disruption of a major Lake Rd project. To be properly effective, such a spinal route needs to have a segregated right-of-way throughout, i.e. “heavy rail” or “light metro”. To go to the expense of giving it an exclusive tunnel under the harbour, then expecting it to mix with traffic, pedestrians and cyclists in the street is misguided. I completely agree with you Dave; its all about the RoW. And it will be grade separate in the tunnel and up the busway, so the entire journey from the North Shore to Wynyard will be free of any conflicts. From there it can continue on street-level RoW to the Transit Mall of Queen St, yes a lower quality of RoW, but one with fantastic access for users. And if or when this proves to be unsatisfactory then a new tunnel from Wynyard to Aotea Station can be added. What appeals to me about this ability to stage the capital cost is that it means it will actually have a chance of happening, and happening sooner, than hanging out for the perfect RoW from start, with a much bigger capital cost. It is absolutely certain that the moment there is there is a direct rail [any] service from the current Busway to Wynyard it will be hugely popular and successful, leading to all sorts of new possibilities, but until there is something it will be subject to all the usual white-anting, from the stupid models to the stupider local politicians, the angry muppets of Northcote Pt and so on. It is important to get something, and something useful and expandable over the line. And LR fits that bill. – If you went to Devonport you would have to tunnel (port, navy), but going to Northcote it could be a bridge which will be much cheaper. – Devonport is right on the edge of the North Shore. The Northcote alignment allows access and connections to much more of the North Shore. Devonport is not an option. There will be almost zero growth there, but a great deal is coming further north, it is important to serve the new vast growth areas with Rapid Transit. Upper Devo especially will benefit from Rapid Transit service terminating at Takapuna and otherwise already has ferries; needs better bus and bike systems, but no one is considering sending Rapid Transit there….